We had a great response to last week`s SEO Myth concerning hand-submission to Google. This week`s SEO Myth Debunked looks at one of the most common tactics people use to spread fear, uncertainty and doubt with Website owners. We took a look at your site, and there are some things in the HTML code that are not optimized for search engines. We took a look at the code on your site, and there are some problems with it. It`s not optimized as well as it could be. 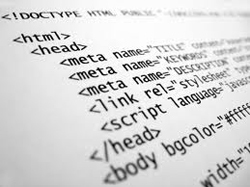 Do you know how to write code in HTML? If not, it`s too technical to explain. A well coded site may in fact rank higher than a site that has confusing code. But most website owners don`t have the technical skills to look at the HTML source code and determine what might be wrong. This SEO Myth is a tactic that is meant to prey on the uncertainty, fear and doubt a Website owner might feel. It`s not much different than going into an oil change place, and they tell you that you need a new air filter. How many people these days really change their own air filter? Do you know how often it needs to be changed? Every 3,000 miles? Some experts say once a year or every 50,000 miles. Shake it out, but no need to replace it every time you change your oil. However, if you don`t know that much about cars, and the guy in the uniform tells you to replace it for $29.99, you don`t want your expensive car to be choked by bad stuff, so it`s easier just to say yes and have them replace it. The reality is that some sites do, in fact, have code that is tough for search engines to understand. • Flash. Some sites still use flash, which is opaque to search engines and doesn`t work on the iPad and iPhone. • Non-Standard Navigation. Some sites have navigation systems that are confusing to a search engine, use graphics, flash or can`t be indexed easily. • Not using standard layout system. Some sites don`t use a Heading 1 (H1), Heading 2 (H2) and paragraph layout system that search engines understand easily. • Frames. Not many sites use these anymore, but a few are still out there. • Store finder Search Box. If the only way someone can find a store location is to enter in their zip code into a box, then a search engine isn`t going to be able to find all of those pages. Instead, have a list of stores by state, with text links that allow a person to click (and a search engine to follow). • No sitemap. Most search engines will only crawl a couple of layers deep onto a site. A sitemap is a way to have a link to every page of the site from one page, so you can make sure that content doesn`t live 7-10 layers deep. • No Content. If there`s not much content on your site, and it merely has a few fluffy marketing statements about what you do – “We provide the best solutions in the industry” – there`s really not much for a search engine to know about your company. • No-index / no-follow. Some sites have this tag turned on by mistake. It basically tells search engines to go away and not index your site. This is so important that we do a daily check on all of our customer`s sites to ensure that this isn`t turned on. • Not optimized for human interaction. The other issue is that what is highly optimized for a search engine (lots of text, few graphics and whiz-bang functionality) may not be well optimized for the end user`s experience. Google uses a feedback mechanism for this as well: they measure how many people come to a website and then “bounce” back to the search results page. If people go to your site, but don`t stay, Google will often adjust the rankings down (automatically, though… there`s no person sitting there dragging your site higher and lower in a windowless room somewhere). So, if someone tells you that your website has problems that prevent search engines from ranking your site, make them give you a list. If they can`t give you 2-3 things that are concrete, they`re most likely not being straightforward with you. Well coded sites do tend to rank better, because the sites are built in a way that Google and other search engines understand. However, telling a Website owner that their site has structural problems – but can`t give them any real information why – is a suspect tactic. I hope you found this SEO Myth debunked article helpful. Let us know if we can help with anything!